A mere 25 feet in width, the traditional Victorian was completely reorganized to maximize space. 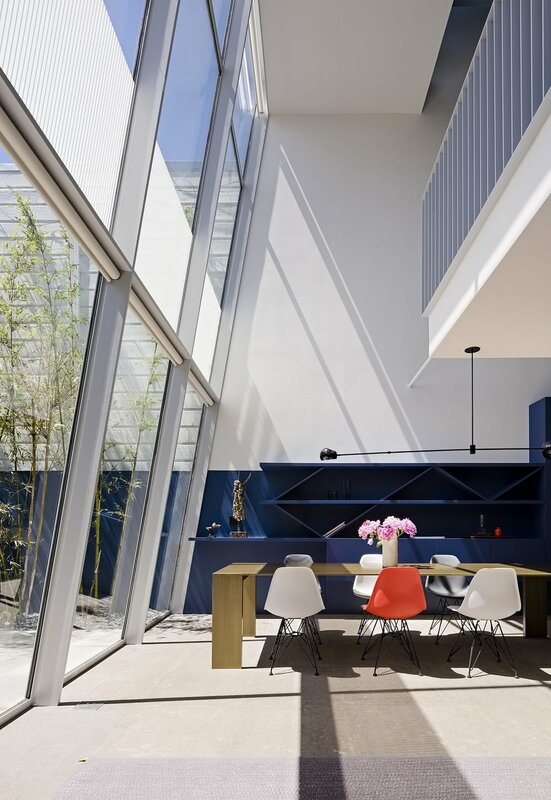 Interconnected floors allow for higher ceilings, while an abundance of natural light, made possible by a rear glass wall, make the 2,300 sq ft home feel much larger than it actually is. The rear windows are canted inward at a nine-degree angle to take full advantage of the sun. The angle also creates a larger living area by allowing the ground floor to extend into the backyard. The R Series Shading System was an ideal fit for three stories of angled windows. 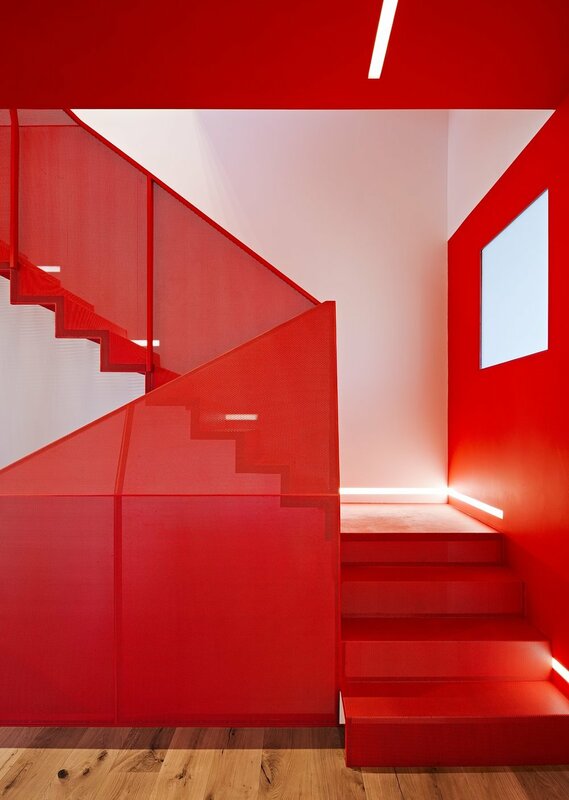 All J Geiger systems are tailored to their surroundings, and this project is an elaborate example of customization. The system features a combination of standard R Series shades (which lower to close) and uprolling shades (which rise to close). All can be operated with the touch of a button, ensuring privacy when needed in an otherwise clean, open space. If this radical renovation looks familiar, you may have seen it before. 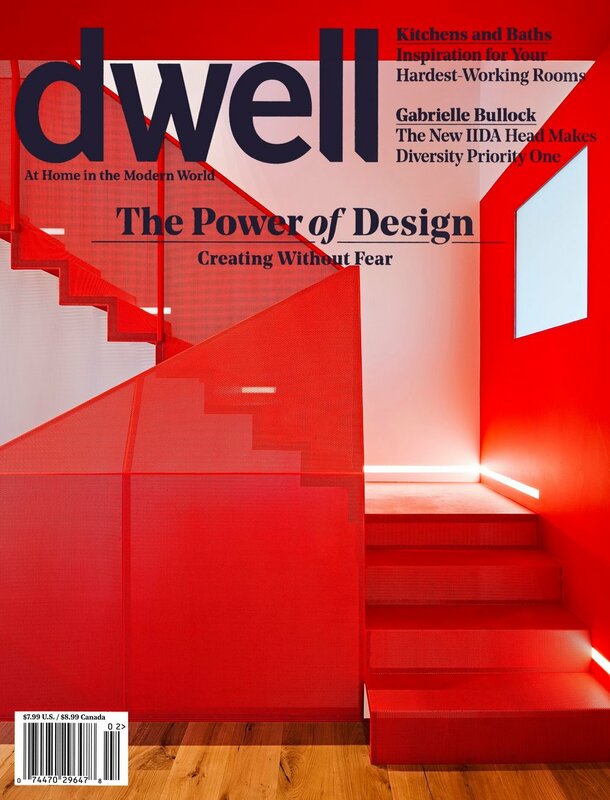 It made the cover of Dwell Magazine in January 2018. Read the full feature at Dwell.com.